Private label is also possible! Because we have our own production we can also create you a private label. 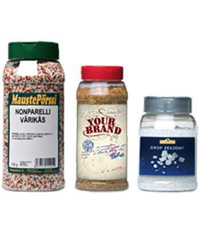 We mainly produce large packaging private labels, but we can also produce consumer packaging. Follow the link to the packaging options or visit the websites of our packaging suppliers.